Introducing Ellispes – the world’s smartest bank. Ellipses is made especially for people that want to make a budget. save for taxes. get a loan. visualize spending. pay bills. prevent fraud. not hate their bank. Oh, did we mention no fees? Always know exactly what you can spend. Ellipses will subtract bills, goals, outstanding checks, and pending transactions from your available balance to show you exactly what you can actually spend at any given moment. A budget is not one size fits all. 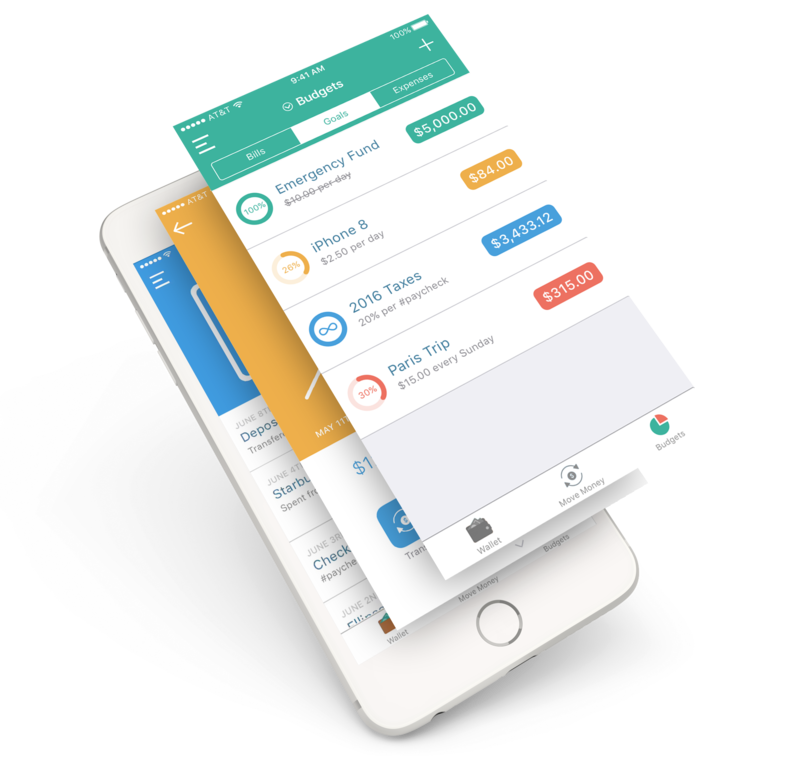 Ellipses constantly monitors your budgets, transactions, and credit to give you a unique, customized todo list to improve your financial health. With Ellipses, you can choose to actively deny transactions that would put you over budget. Have you been doing a little too much online shopping this month? Ellipses can decline transactions for your online shopping category, while everything else is approved as usual, and you stay on budget. 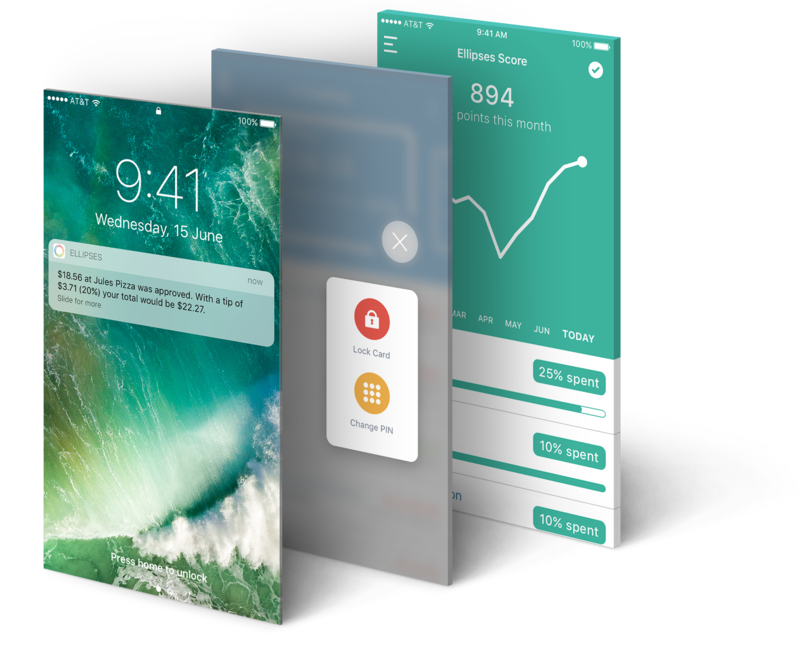 With powerful algorithms and machine learning, Ellipses gives you an up‑to‑date score of your financial health based on how you manage your budgets and objectives. Credit scores are an outdated method for lending — so we don't use them. Using your Ellipses Score, you can get approved for loans that fit perfectly into your existing budget. Lock and unlock your debit card with just two taps, change your PIN in seconds, and know instantly when your card has been used. Send and accept money instantly, and see the transaction reflected in your account immediately – even if they bank somewhere else. When Ellipses launches, the service will be invite‑only as we scale, to ensure everything is running smoothly. We’ll be inviting people to Ellipses from this waitlist. Those people who helped us out the most by sharing their signup links will be the first ones invited to join! Yes! Ellipses isn’t a bank according to traditional terms, so we’ve partnered with FDIC‑insured institutions to secure customer deposits. How do we make money without fees? The institutions we partner with share profits with us from interchange (when you use your debit card to buy things) and interest margin (interest paid on funds that you have on deposit). In short, we only make money if you actually want to use our services.